Happy March! It’s the month for Daylight Savings Time, happening on the 13th, and I’m actually looking forward to it. I’ll definitely enjoy the longer afternoons with the sun staying out past six. Evan has a pretty great sleeping schedule (knock on wood) so I’m curious to see any differences we will face. 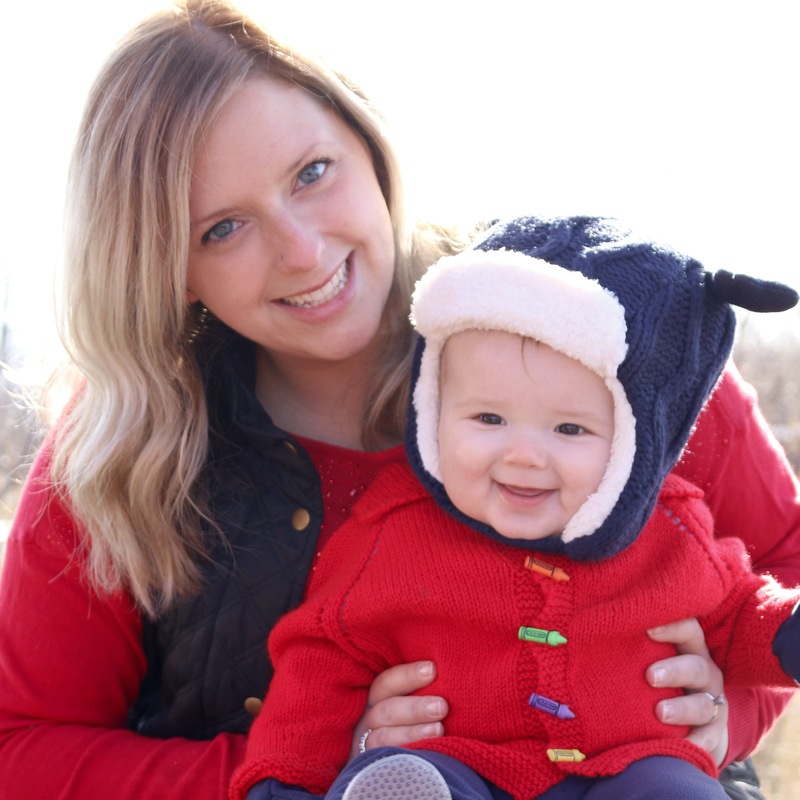 Spring teased us Minnesotans last week with warm weather and then it plummeted back to cold. Now the forecast is calling for the warm weather to return, hooray! 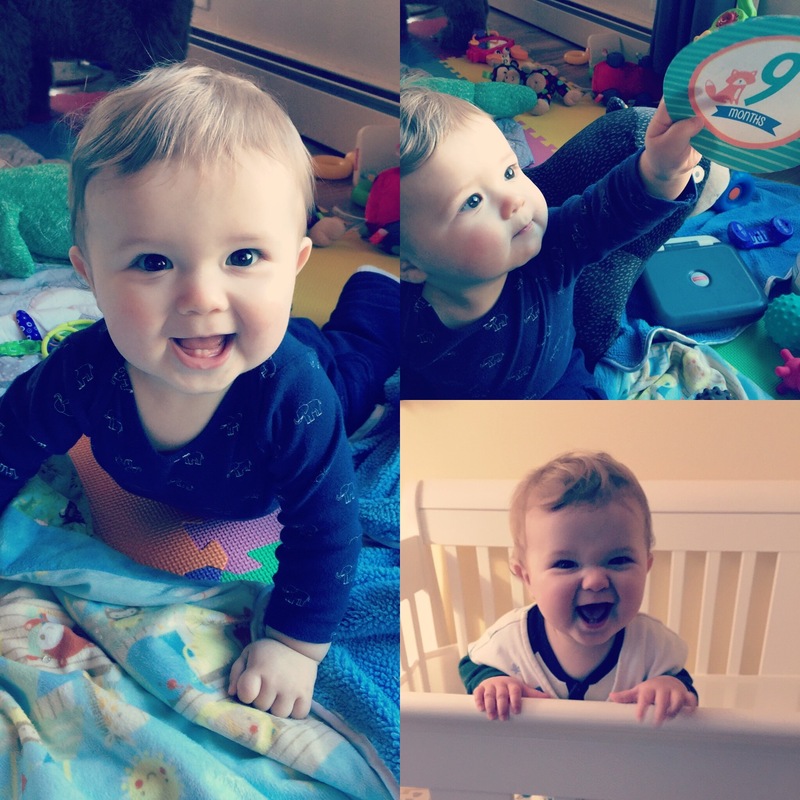 Also, Evan is 9 months old, as of February 29th! He is still our little stationary baby, as he cannot crawl quite yet, which is fine with us. We need to find a baby gate for the stairway, and it’s been quite a struggle. We are looking for a larger sized gate (or one with extensions) that can fit a 49″ width and has an additional mini pet door. Our cats are quite particular and one of them will not jump over a gate to get downstairs to her litter box. Over the past few weeks I have been busy searching online for ways to customize this blog to my liking. I originally went into this thinking it would be a simple, quick set-up, however there are so many things to learn. I’m having a great time discovering tips and tricks from other fellow bloggers. Once I have a good, comfortable, set-up, I can’t wait to have more detailed posts about Evan and the house. Our guest bathroom should be done early next week, and I’m looking forward to a good blog post with a lot of “before and after” pictures. I’ve been anxious to share it with everyone because we are doing something very unique with the entry. The room itself is quite small, however there were so many little details we wanted to change. Although I do not consider this a “beauty blog”, I still enjoy the occasional sharing of my favorite products for hair, skin, or nails. 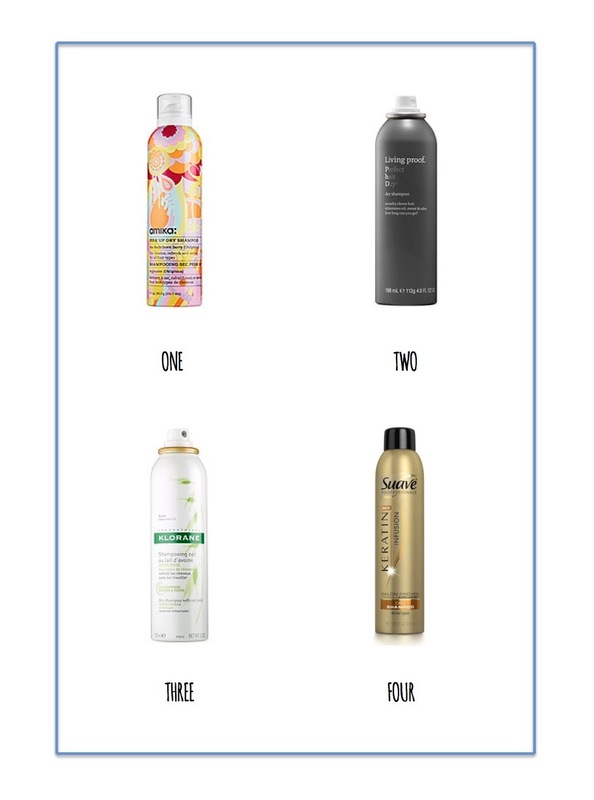 Lately I have been on a dry shampoo kick and it’s been fun trying different brands to compare and contrast. Dry shampoo has been out for a long time, however I only started using it about 4 or so months ago. My hair gets very oily within 24 hours post wash, so I wanted a solution without having to wash it as often. I should note that I have thin, medium length, dyed hair that has gone through a lot over the years with coloring. The first brand to try was Amika, and was recommended by a blogger I enjoy reading everyday: The Small Things Blog This dry shampoo is wonderful. I really enjoy the smell, although I’ve read reviews from people complaining it smelled like “cheap perfume”. I can see where someone may think this, however it just smells so lovely to me. The product definitely feels like it’s working, by making my day two or day three hair seem “normal” and not having a greasy feeling or look to it. This is something I’ll definitely buy again in the future. Amika comes in at $22 per 5.3 oz bottle. The second brand is Living Proof, also recommended by The Small Things Blog. I vote this one as the winner between the four that I’ve tried. I just ordered a refill from Sephora, and I can’t wait for it to come. Although it doesn’t have that amazing smell I love from Amika, it’s still very pleasant. It also does the job in regards to removing grease and making hair have volume and feel like its old self again. Living Proof comes in at $22 per 4 oz bottle. The third brand, Klorane, is one I had been itching to try for quite sometime after reading many wonderful reviews. Coincidentally I received it in my January Birchbox, and thought it was meant to be. I wasn’t a big fan of the smell, and now the sample is empty so I am unable to remember and describe it. The product did work, however it just wasn’t the same as the others in regards to effectiveness. I felt it left too much of a residue. Klorane comes in at $20 per 3.2 oz bottle. Lastly, the brand I knew I needed to try based on comments from friends, was Suave. My overall reaction is disappointment. I wanted so badly to like this one because it’s really affordable and I’ve heard such great things. For some reason it just didn’t work with my hair. It left my hair feeling greasier than it had been and the residue was much more significant than the others. Although this residue fades away, as it’s intended to do, it just wasn’t appealing to spray in my hair and see. Suave comes in at $4.99 per 4.3 oz bottle. This price is from Target, and prices vary from store to store, versus the above mentioned salon products. That’s it for this “brief” update. Hope everyone has a great weekend!